The Equinox is a newly designed SUV restyled in and out to offer spaciousness and comfort for families. 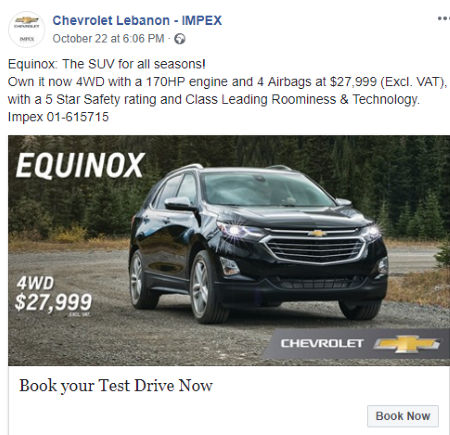 *When first-hand experience is not available, Pros & Cons are taken from wordlwide leading automotive websites like Edmunds, Car and Driver and The Car Connection. 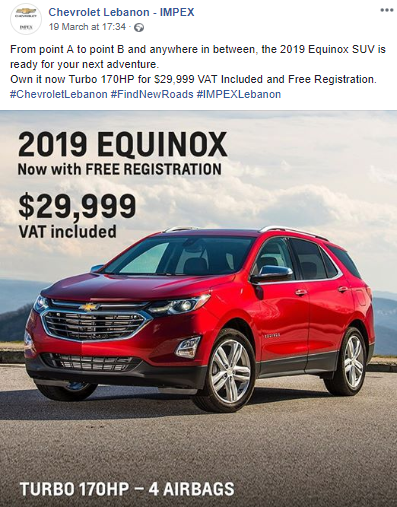 OFFER DEATILS: FREE Registration on the Equinox 2019! The 2018 Model is also available for a cheaper price. No. The car displayed is the full options model. Taking into consideration what the competition offers (rarely do we see a screen, let alone CarPlay on an entry level), the LS 2WD ($31,400) is a great choice if you can forego 4WD and settle for the longer list of option. The starting price is not the lowest, but there really aren't any trade-offs in terms of options. You have 3 other choices with a similar engine but a 4WD drivertrain before you settle for the PREMIERE version. That last version is the only one offering a larger engine, and all the advanced safety features.